Employees in the industry need to be motivated, challenged and awarded to be highly engaged in an industry that is witnessing recruiting and retaining challenges, a panelist discusses. As the war for talent rages on in the oil and gas sector, employee engagement is a serious concern on the corporate agenda of every major company, remarked a panelist discussing employee engagement at a Health, Safety and Environment conference hosted by SPE International in Long Beach, California. Employee engagement or an engaged employee is defined as one who is fully absorbed by and enthusiastic about their work. Only 13 percent of employees are engaged at work, according to a recent Gallop poll. Motivational factors, career development opportunities, employee recognition and the organizationâ? ?s reputation play a major contributing factor to the results. As if this challenge wasnâ? ?t enough, oil and gas human resource leaders must also continue to grapple with the relentless ongoing HR realities that have always been unique to the sector â?? managing seasonal demand, coping with higher-than-average employee turnover and attracting workers to remote and hard-to-recruit locations, according to Ernst & Youngâ? ?s report â? ?Human Resources in Canadaâ? ?s oil and gas sectorâ?. The report also noted that the talent crunch is driving oil and gas industry professionals into positions of power that their experience and ability donâ? ?t necessarily match, leading to one of the main concerns HR professionals are dealing with: employee engagement. â? ?Those who embrace innovation and flexibility will thrive as this exciting sector continues its rapid evolution in the years ahead,â? the report stated. However, does business performance drive employee engagement or does engagement drive business performance, many attendees in the audience asked the panelists. Firms rated highly by employees for both engagement and enablement are five times more likely to exceed performance expectations than those merely engaged. 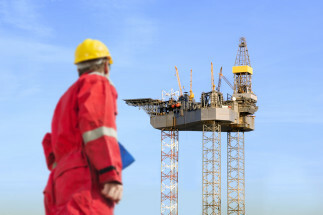 Oil and gas employees, said ineffective leadership, minimal reward and recognition, lack of training and development and limited career advancement opportunities were the main factors contributing to their lack of engagement. Based on research findings, there are four key areas where companies can focus their attention towards, in order to achieve high engagement and high enablement. Trust and confidence in senior management (engagement) is key in maintaining an effective leadership. Learn from employees what commitments or expectations they feel leaders have not met. How effectively the company is managed (engagement) is another key point. Help people see the bigger picture by regularly communicating the goals and direction of the organization and how employees contribute towards achieving them. Be sure to reward and recognize good performance in the workplace. Recognizing good performance (enablement) in the workplace boosts morale. Celebrate achievement of objectives within your organization, on a regular basis, by publicly recognizing individuals who exhibit superior performance. Pay for performance (engagement) – link salary increases and bonus payouts to individual performance as well as that of your company. Do you offer career advancement? Achieving personal career objectives (enablement) ranks highly with Gen Y. Keep in mind peopleâ? ?s career aspirations; talk to individuals to review current performance and future potential. Career paths (engagement) need to be identified. Create specific career paths for each role within your business; clarify advancement and lateral transfer opportunities available throughout the organization. Are training and development programs offered? Treat training (enablement) as a process rather than an event. Ensure that training offerings for both current and new employees are adequate to align skills with changing job demands. Development through feedback and coaching (enablement) with clear and regular feedback is key. Provide members of your team with regular, constructive feedback on their performance â?? both positive and developmental.